See how to make a simple and Easy Frittata using just a handful of ingredients, and even leftovers! Frittatas are the easiest dish around. Baked in the oven until they are puffed and golden brown, it’s a quick and affordable meal. With meat or without, it’s a lovely way to transform leftovers vegetables! A basic easy frittata recipe is a great one to have when you’re looking for a deliciously savory meal! Frittatas are a great (and easy) meal perfect for breakfast, lunch or dinner! 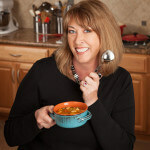 Hey my name is Deb and I’m stopping by to share a recipe from Bowl Me Over. As the name implies most (not all!) of my recipes end up in a bowl. On my blog, I share soups and stews in the fall and winter. Springtime and summers are filled with crunchy fresh salads and great items for the grill! My hubby and I live in Fresno, CA where the sun shines year round. Most of my meals are casual, quick and easy! I hope you head over and check it out == >> Bowl Me Over. Thank you so much for letting me share a recipe, Ang! Although I’ve only known her for a few months, Ang and I have gotten to be the best of friends! We share knowledge and blogging support. I just love her creations and the yummy recipes she shares! And actually the idea for this recipe came from one of her recent blog posts Chorizo Sheet Pan Dinner. Have you made it yet? The day that blog came out I was trying to figure out what to make for dinner and I had everything I needed to make that sheet pan meal. It had bright fresh flavor and was so easy, totally my kinda meal! Because it’s just Dan and I (our daughter is grown and out of the house) we had some leftovers. (Remaking leftovers is actually something I specialize in!) and on day two I transformed the sheet pan dinner into an easy frittata and let me tell you this is delicious! But don’t worry, if you gobbled all of the Sheet Pan Chorizo meal up, you can use my recipe for pan roasted vegetables as a substitute! Fruit Salad is a great side dish too! How do you Make a Frittata in the Oven? slice, add toppings of choice, serve and enjoy! 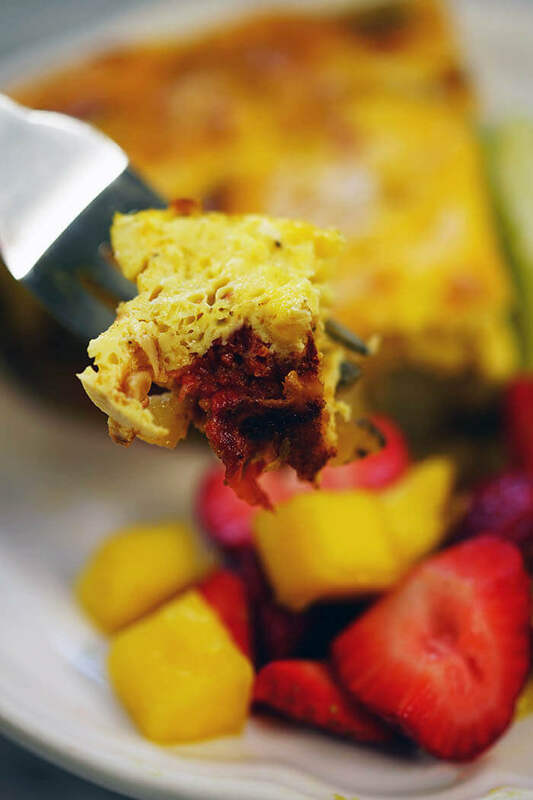 Perfect use of leftovers this easy frittata recipe is one the whole family will enjoy! 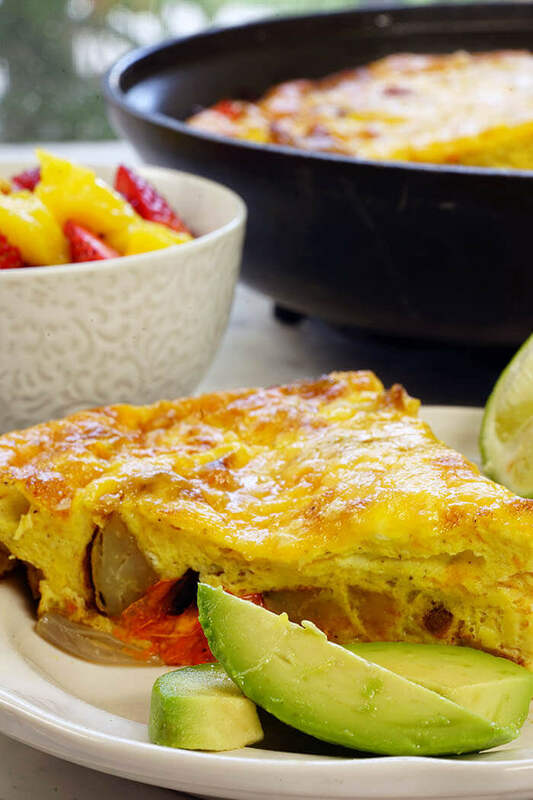 What is the difference between an omelet, a quiche and a frittata? Great question! An omelet is cooked on the stove and the ingredients are folded into the inside of the omelet. Most frittatas are started on the stove and finished in the oven. A quiche will have a crust and the ingredients will be folded into the custard and poured into the pie shell. If you love this and you’re looking for more easy tasty ideas for breakfast or brunch, here are a couple that you might really enjoy! Cheesy Egg Muffins – great make ahead and easy for a grab ‘n go meal! Easy Egg Bake – so delicious and sweet, this is perfect for a lazy Saturday morning! Make Ahead Easy Granola – why make it at home when you can buy it at the store? Because it’s SO MUCH BETTER! Seriously delicious and so easy to make, just baking it perfumes your home! I promise you’ll love this granola! There’s nothing better than taking one meal, and turning it into another! Here’s how to do it! Frittatas are the easiest dish around. Baked until puffed and golden brown, it's a quick and affordable meal. With meat or without, it's a lovely way to transform leftovers vegetables! 1 1/4 cup shredded cheddar cheese divided recommend cheddar or pepper jack. Thoroughly butter the inside of a sauté pan, including the sides. Take the leftover roasted vegetables and spread them evenly on the bottom of the sauté pan. Crack the eggs into a large bowl and whisk to break up the yolks. Add the sour cream, salt and pepper. Whisk together thoroughly. Add one cup shredded cheese, mix again. Pour over the vegetables. Place in the preheated oven for 25-30 minutes until the frittata is puffed and golden brown and it is set in the middle. Remove from the oven, top with the remaining shredded cheese. Place back into the oven for another three minutes or until the cheese is melted and golden brown. Bowl Me Overwhere she shares her love of all things in a bowl! Soups, stews, salads, Buddha bowls, ice cream you name it! Comfort food that is delicious and full of flavor. Most meals are quick and easy! Thank you so much for sharing this recipe with your readers. 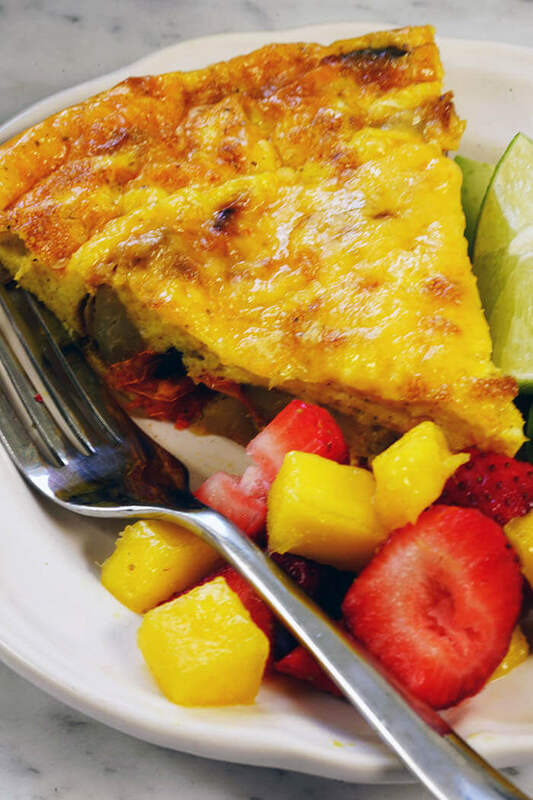 We just loved your sheet pan recipe and it was fun to repurpose leftovers into a frittata! I hope everyone really enjoys both recipes! It’s been my pleasure to include this on Juggling Act Mama! You’re a wonderful cook, Deb!